The Surprising Nutrient Your Brain Needs Now…Glucose! Turns into ATP, the fuel that powers all cellular activity, including the activity of billions of brain cells (neurons). Helps produce neurotransmitters, the chemical messengers that send signals across synapses from neuron to neuron. Without neurotransmitters, you couldn’t think, feel or move. For example, the brain’s most abundant neurotransmitter—glutamate, an “excitatory” (or energizing) neurotransmitter active in 90% of synapses—can’t be manufactured without glucose. Similarly, GABA, an “inhibitory” (or calming) neurotransmitter, depends entirely on glucose for its production. Stimulates the plasticity of neurons so that they don’t shrivel and die off. When your brain doesn’t get the glucose it needs, memory, focus and reasoning decline. In a worst-case scenario, without sufficient glucose, you could end up with Alzheimer’s disease. New study: In a scientific paper published in Frontiers in Aging and Neuroscience, Lisa Mosconi, PhD, associate director of the Alzheimer’s Prevention Clinic at Weill Cornell Medical College/NewYork-Presbyterian Hospital and her colleagues stress that Alzheimer’s disease develops over decades, and that preventing or delaying the disease requires addressing the factors that lead to it. Perhaps the most notable factor identified in the development of Alzheimer’s was a slowdown in glucose metabolism, or the rate at which the brain burns glucose. Getting sufficient glucose speeds glucose metabolism and is a must for mental performance—particularly as you age. Getting enough glucose for your brain does not mean eating a diet rich in refined sugar and carbohydrates such as candy, bread, pasta and baked goods. These foods do contain a very small amount of glucose but also a massive amount of other sugars. These other sugars get converted to glucose but, in the process, are hard on the liver and pancreas, increasing insulin levels. The best foods to provide immediate glucose to the brain are root and other vegetables, fruits and whole grains—key components of the Mediterranean diet. These foods provide the glucose needed while minimizing the total amount of sugar ingested to avoid high blood sugar and other health problems. New study: In a three-year study I coauthored and published in Neurology, individuals who closely followed a Mediterranean-style diet preserved glucose metabolism in their brains—while those who ate a typical Western diet had decreases in glucose metabolism. Additionally, declining rates of glucose metabolism were associated with increased Alzheimer’s plaques. Glucose-rich foods: 88% of the sugar in scallions is glucose…turnips (76%)…rutabagas (56%)…dried apricots (52%)…kiwifruit (48%)…grapes (40%)…onions (38%)…whole grains (36%)…red beets (31%)…and raw honey (30%). To put this in perspective—two red beets contain 20% of your brain’s daily glucose requirement, which is 62 g of glucose…and one cup of grapes will give your brain 17% of the glucose it needs for a day…but you would need to eat 16 pounds of chocolate chip cookies to achieve your daily goal! In a study published in Psychology and Aging, older adults (ages 65 to 82) were among those given either a drink containing a small amount of glucose or a drink with an artificial sweetener. After consuming these drinks, they were asked to perform difficult mental tasks. The older adults who drank glucose had better memory, a more positive mood and were more engaged with the mental tasks, compared with those given the artificially sweetened drink. For a quick mental boost: Add one teaspoon of glucose-rich raw honey to a cup of tea. Refined honey, like table sugar, is more likely to give you an energy crash later. 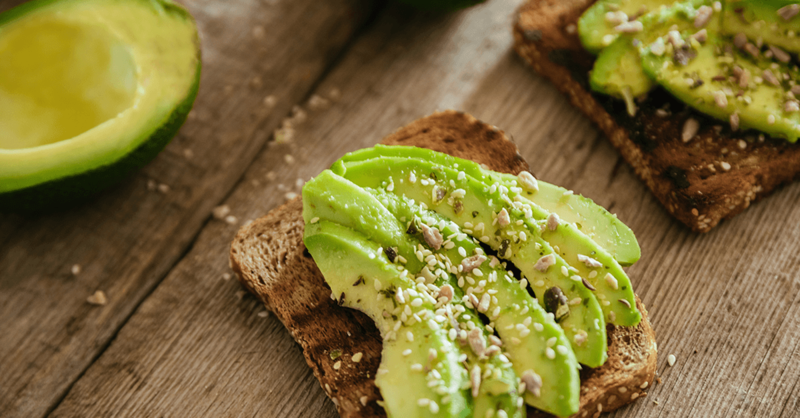 And for a brain-building breakfast or lunch: Try avocado toast with whole-grain bread. It delivers a hearty supply of glucose and brain-healthy monounsaturated fat.